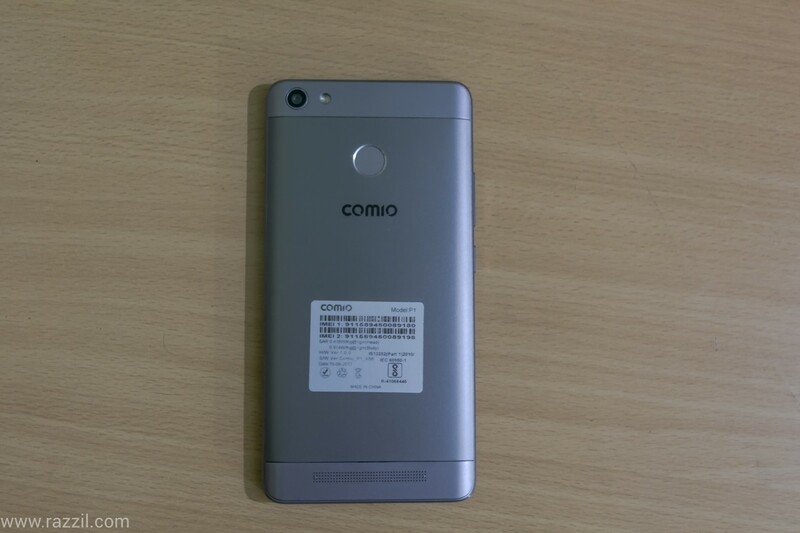 The Comio P1 is carrying unibody design with a metallic looking plastic back. 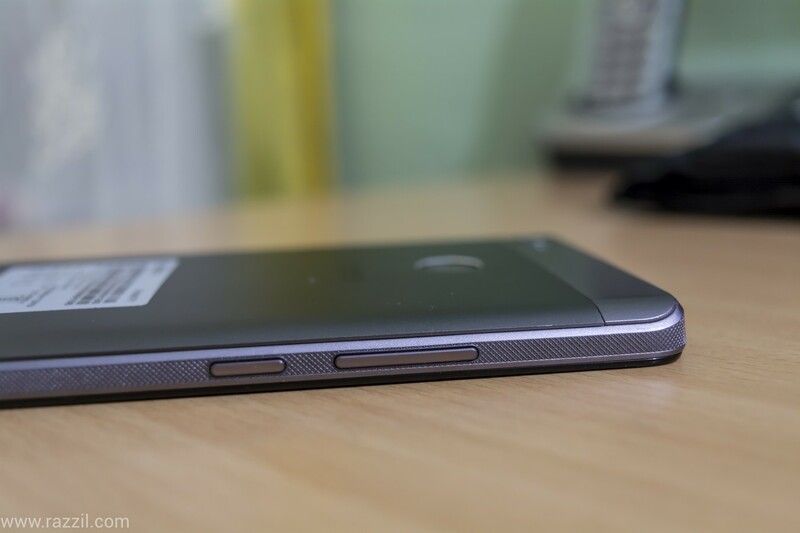 On the front, it has two big bezels along with the front camera and speaker. There is no capacity button which is waste of space below the display. 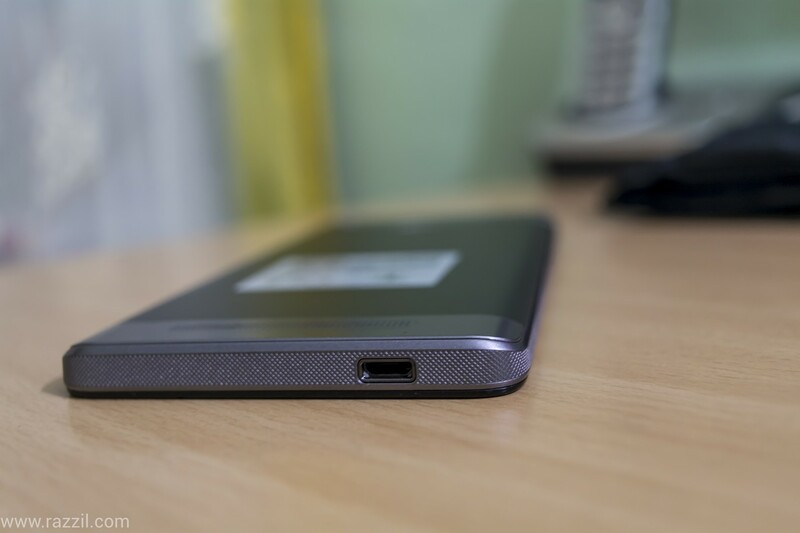 Micro USB Port is at the bottom and 3.5 mm port is on top. Fingerprint scanner, speaker & Camera along with flash is at the back of the phone. The surprise element of the phone is that the power & button is on the left-hand side which becomes very annoying. The display is average and fingerprint magnet and also it’s hard to view the display in direct sunlight. The Comio P1 comes with Android 7.0 Nougat with Comio UI 2.0. Comio did some heavy optimization over Android. The phone comes with usual UI without any app drawer as we see in most of the smartphone. There is a lot of bloatware installed already with apps such as Speedup, Clone, Xender, Freezer, Anti-theft, UC Browser, Avatar Master and 360 Security. The phone UI is simple and easy to understand and comes with handy features however the lag is clearly visible when you operate the phone. Even in day to day tasks the phone lags a lot when you play games the phone lags very badly. In my opinion, the comio should go with better processor even 3GB RAM do not help in current device. Also, I didn’t like the launcher that comes with the comio and the bad part is that you can’t change it to the different one. I like they’re continuously updating the software from times to time, hoping many bugs will be fixed in future updates. The Comio P1 is powered by 17.3 GHz Meditek MTK6737 processor along with Mali T720 GPU. It comes with 3 GB of RAM and 32 GB of Storage. I’m not a huge fan of Meditek processor when it comes to performance and the phone performs badly in the performance department. The 3 GB RAM & Quad-core processor is not enough to tackle heavy activity on the smartphone. The P1 has a 13 MP rear camera with F/2.0 aperture with LED flash. The phone performs decently in bright light with accurate colors and decent Auto HDR work, however, the camera quality fell deeply in low light conditions. The picture quality comes grainy. The UI lag is also noticeable in camera performance, it takes few seconds to save the pictures. The 8 MP front camera does the decent job in selfie however if you take lots of selfies then this phone is not for you as often the quality of the front camera is not up to the mark and lack of detailing in every shot. The Comio P1 is built to last long, it has massive 5000 mAh battery that good enough to power on the phone for 2 days. However, the phone took long to charge the phone completely which is annoying in today’s world where every phone comes with fast charging technology. The Comio P1 has a solid build quality, battery life and camera performance in daylight however it falls short in display & software department which is equally important. The Redmi Note 4 provide better options in the similar price range. The Comio is the new entrant in the market and I’m hoping that it’ll improve over time. They bundled good amount of accessories in the box including earphone and transparent silicon case. The company also luring the customer with extra 100 days warranty, screen breakage warranty and upgrade offer. The Comio P1 has a solid build quality, battery life and camera performance in daylight however it falls short in display & software department which is equally important.